The Cook N Home 1.5 Quart Stainless Steel Oil Storage Can makes oils reusable and offers convenient storage. Do not waste frying oil by disposing of it. The oil can be used again after filtering particles. 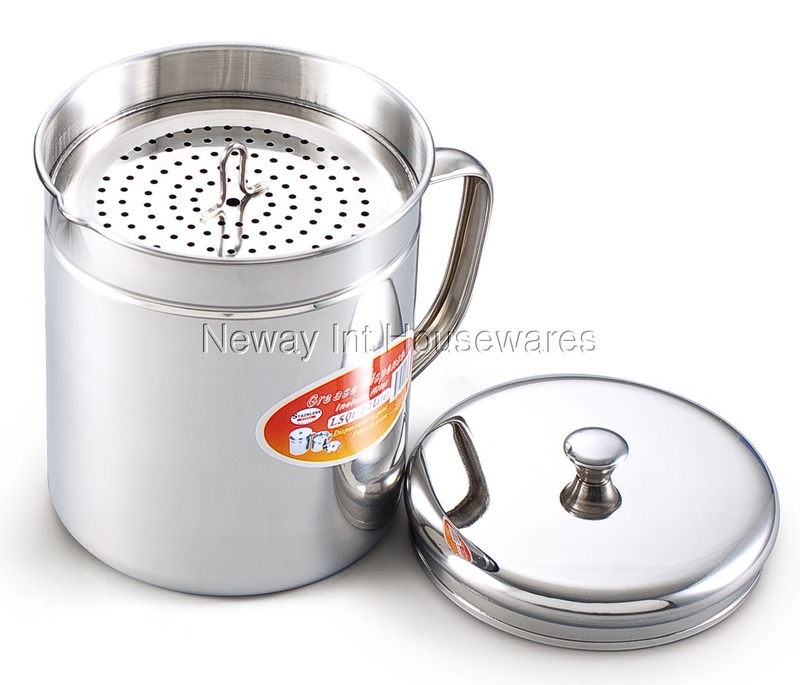 Made of stainless steel in body and lid. Stainless steel screen is reusable and removable. The can has an easy to hold handle and includes a tight-sealing lid. Oil can be poured in hot or warm. Dishwasher safe.